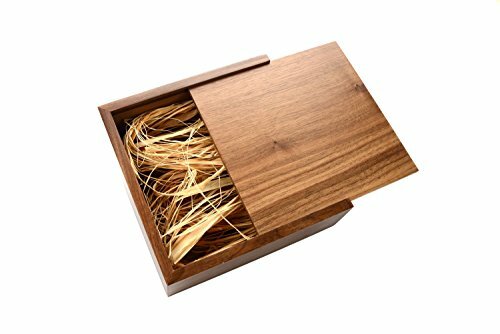 Walnut Wooden 4x6 Photo Box - Single Item - Holds up to 120 Prints - Filled with Raffia Grass by SameDayFlash at HoldUp Art. Hurry! Limited time offer. Offer valid only while supplies last. From our Antique Collection, we are introducing our special Walnut Wooden Photo Box.The box is made with Walnut wood, and can hold up to 120 Prints . From our Antique Collection, we are introducing our special Walnut Wooden Photo Box.The box is made with Walnut wood, and can hold up to 120 Prints . The box itself will hold any 4x6 photography (up to roughly 120 photos), along with the flash drive. Our Antique Collection of Wooden drives are great for artisans, enthusiasts, and gift givers. Works great with laser engraving! For more information, visit us at www.samedayflash.com or call 1-800-879-8273.